In my short Product Management career, I’ve had the fortunate opportunities of working in the personal health and book industries: my first job was helping people lose weight and maintaining their fitness + wellbeing, while my second one was making books more accessible in America. I often think/dream about the future, and it’s really an exciting time to start thinking about the future. There’s a lot of cool things happening out there that are going to shape the future, but the three most exciting emerging fields for me are UAVs, IoT, and 3D Printers. Unmanned Aerial Vehicles (UAVs or drones) are simply cool. These flying, unmanned machines vary in size, flying range, ability, and affordability. Unfortunately, UAVs have a bad rep primarily due to their military uses, but there is an undeniably great future for them in our lives, which is exactly why a group of us (Kevin Kyeong, Juzer Sharafali and myself) attempted to build an autonomous quadrocopter (think helicopter with 4 rotors— great for stability) from off-the-shelf components with a $200 budget for our final year university design project. Although this was an extremely difficult project for us, it did prove that you can make UAVs very cheaply, and that can only push us closer to having them more present in our lives. We now know there are companies testing UAVs for non-military purposes and it’s a matter of time before we start seeing the benefit of UAVs in our everyday lives. The biggest examples are Amazon and Alibaba, two giants in the eCommerce games, as well as organizations such as the UAE government’s Drones for Good program that awards $1,000,000 to teams who can do…good (Flyability was the first team to win the award)! In hazardous conditions, like an avalanche, deploying an on-ground team for search or a helicopter search crew is not only expensive, but risky for the search team involved– they could get trapped, injured or die. UAVs could be the simple, safe answer: imagine deploying 5-10 small UAVs to canvas an area quickly and cheaply, they would be able to map the area, use infrared cameras to find the targets, and then led the search team to safely find those targets. Amazing! UAVs can carry things! UAVs could safely transport supplies to people in hard to reach places or help transport merchandise/supplies from one area to another. Why use UPS or FedEx when you can use a UAV? That’s clearly Amazon’s and Ali Baba’s thinking. Today, we have humans patrolling areas where it’s too expensive or not possible to have security cameras. Imagine having motion sensors to detect intrusions and then deploying UAVs to investigate instead of humans. This works great for private security, but it can also work for public security. Instead of employing millions of CCTVs, like the UK, you could instead deploy UAVs to canvas a city looking for the bad guys. CCTVs have blind spots, but drones don’t. The police can safely monitor activity from mini-stations or patrol vans to increase response times and move to the area in question as required. Videography is one application we can witness today. Check out this amazing footage that you would only be able to capture with a helicopter, which costs a lot of $$$$$ to operate. With angles like this, UAVs will quickly make their way into cinematography, giving directors a new perspective on how they can show a scene to their audience. The biggest blocker with UAVs, other than privacy, will be the FAA. There’s a lot of back and forth, so let’s see what happens! 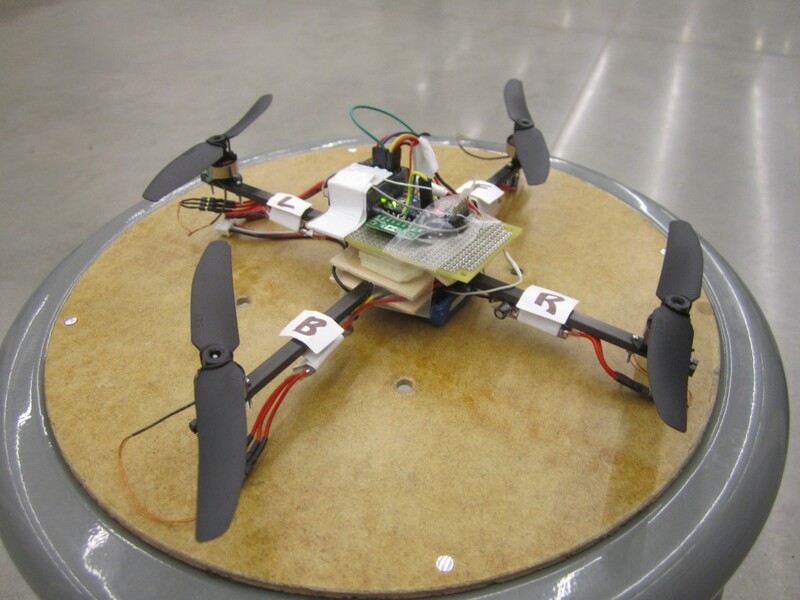 As time goes on, there will be even more cool applications for UAVs. We are now seeing UAV racing, which can only lead to UAV gambling! Although I’m not excited about the name, I am excited about all the potential of the Internet of Things (IoT). IoT is about making electronic devices “smarter” by connecting them to the Internet, giving them the ability to communicate with other devices and people. 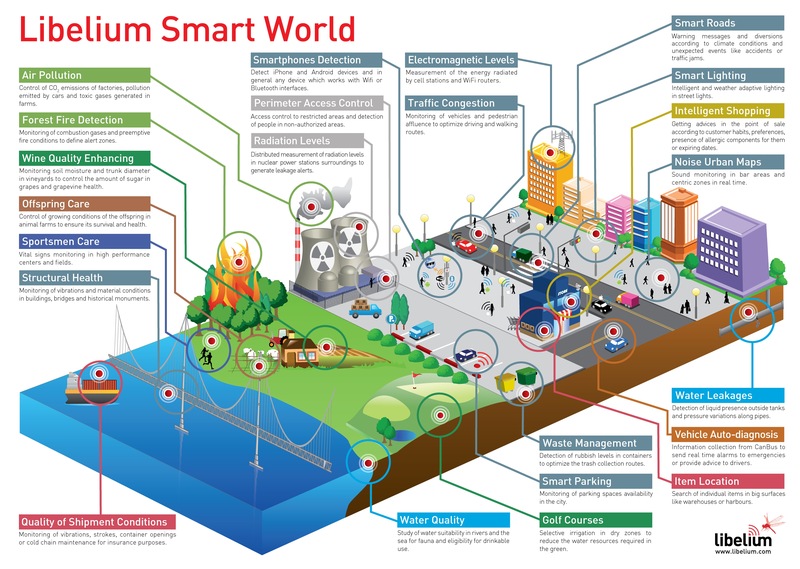 Let’s look at IoT in two parts: consumer and commercial applications. Consumer-focused applications for IoT seem to draw the most (media) attention, and they mostly revolve around making your home appliances and devices talk to each other. How could this work? Let’s take a look at the hardest part of my day: waking up! It’s 7am, and your alarm goes off. You hit snooze so your alarm communicates to your blinds/curtains to let in some sunshine. The alarm goes off again. You hit snooze again. This time your alarm communicates to your stereo system, which slowly turns up the volume on a mixx I made a couple days ago (and one thing about my mixxes: they make you move!). Now you are starting to stir and decide you might as well get up since you’re now awake. As soon as you get off your bed, your bed sends a message to your coffee machine to start making some coffee (or in my case, a mocha). There are thousands of other examples where your giving your devices some intelligence could help make your life at home easier, even including your couch moving out of the way so your Roomba can vacuum behind the couch, and later, the Roomba communicates to manufacturer letting them know the brush is almost worn out and it’s time to send a replacement. Personal health is another huge field waiting for innovation from IoT. I mainly see this happening with “smarter” smartwatches that constantly monitor your health, eating, and sleep patterns to constantly gauge your overall health and make recommendations to you. Transportation – Trucks and cars being able to navigate on their own, provide reports on their journey and loads they have. Easily reroute based on traffic changes and new requests. Medical and Healthcare Systems – Your smartwatch can now detect any unusual patterns in your body and communicate it to your doctor. If you’re experiencing an emergency, your smartwatch automatically notifies 911. While in the hospital, the heart monitor notices your heart has stopped beating and communicates to the defibrillator to do its thing. Manufacturing – We have robots creating complex objects and now robots helping move items from one area to another. The next step is to go all the way and have robots create, organize, store and package items. This requires coordination and a network for these devices to operate on. Infrastructure management – A recent John Oliver exposé revealed that America’s infrastructure is a horrendous state. The state of Alabama doesn’t have a single inspector for its 2,000 dams! Clearly, technology and IoT can have such a huge impact on monitoring our infrastructure before things break…and people die. There are challenges with IoT, with the biggest one being the need for a platform. Similarly to the Internet, which runs on the TCP/IP protocol, IoT is in need of a universal protocol/platform that all these devices can operate on. One platform will allow everybody to get involved, resulting in more use and abilities for these connected devices. 3D printers take 2D printers to the next dimension (pun intended!)! Instead of using ink and paper, 3D printers layer on material to build up 3D objects. A YouTube video beats any words that I could possibly use to describe how they work (a picture may be worth a thousand words, but videos are worth gazillions!). Medical supplies – We can create prosthetic limbs on demand. Spare parts – Broke your bicycle’s wheel or your monitor’s stand? No problem, print out a new one! Food – This one may seem far-fetched, but imagine printing your own food! This could be a game changer in poverty-stricken and famine/drought-stricken areas. Another game changing application for 3D printers is commerce. I see the future and in that future you can print your own clothes, shoes, sofas, and whatever else you would usually buy from a store. Instead of clothing companies and manufacturers selling physical objects, they will be selling recipes that you would use with your 3D printer to create the objects that you wanted. The only time you would visit a store would be to buy a new 3D printer (or perhaps you could print yourself a new 3D printer…)! Although I’ve painted a rosy and exciting future for 3D printers, there’s going to be a lot of challenges and need for regulation. 3D printers can be used for good, but also for bad, and we’ve already seen 3D printers used to make guns. We’ll need to proceed with caution in this respect to make sure we have a chance of a safe, exciting future. What do you think of the future of UAVs, IoT and 3D printers? Do you work in any of these cool fields and can get me in? Holla!